Confession time.....when I want some serious distance I tend to spey across at the required angle (not shooting any line) then go into an over head to shoot as I find this gets me the furthest (not sure how far exactly but I can see a lot of backing). I've also seen a lot of other people doing this. Just using spey I can shoot about 20' approx of running line. Im not using a long head, Monteith multi-tip with (normally) just the 10' tip (total 63') or the 15' tip and only occassionally both, giving me 78'. My question is, would you normally expect to need to use an overhead when the head length is those above (15' Hardy Demon) or should I be able to hit my max distance with either method. Therefore, can I use my overhead distance as a marker to aim for with my spey, or would this be ambitions given head length? If overhead goes further up to a point, what point (head length) is this? You are better at loading the rod with a "spey type" front cast into an overhead backcast followed by an overhead frontcast than you are with the standard speycast. Speycasting was developed to overcome the problem of loading a rod when an overhead backcast is not possible. Improving in any form of casting involves putting in the time. Easier said than done though. A good coach can help. I remember Mel (tweedghillie) said on a previous thread that a big problem to progressing in casting is unlearning bad habits/muscle memory....this is what takes the time. I haven't cast with the double hander since the forum meets at the start of the season but have managed a few sessions with the single-handed rod. Failed in my goal to relearn my basic overhead cast with the single handed rod this year (see time above : .... speycasting with the double-hander last year has transformed some of my roll/spey casting with the single-hander though. Still murder off the left shoulder with both the doublehander and the single hander and that's because I don't put the time in practicing. I always fish off my right shoulder. Thanks for that Greenman...I expect this is something obvious Im missing but for any given length of line outside the rod, is the Spey cast not intended to generate as much load in the rod as an overhead cast? Also, taking extremes would you be able to overhead cast a 95' head? i.e. In my simple head up to a certain amount of line outside the rod think an overhead cast may be most efficient way to load rod, after this a spey cast would be more efficient. If this is not true then as above, both should be as efficient as each other for any given combo. Perhaps we need to hire a conference room during the annan trip and someone can draw me some pictures.....or just hit me on the head with a chair till I understand. Feel free to give up on me at this point. I don't think that for a given amount of line both casts load the same and therefore produce equivalent distances. 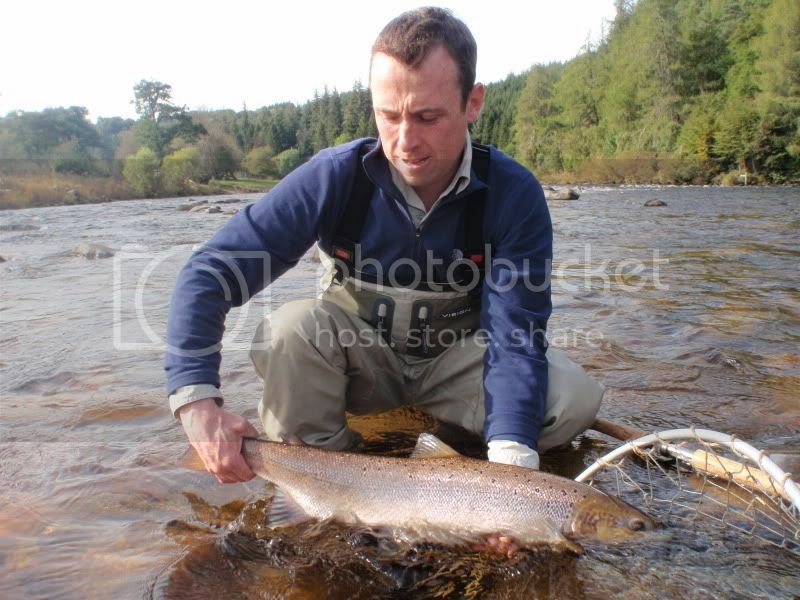 The casts are very different, the speycast utilises water resistance when loading the rod which the overhead does not for example. For any given caster ... you, me, him .... relative distance will depend on our relative competences in each cast. My speycasting with the single hander isn't bad at all. I've never measured the distances I cast but I know it's short of 80 foot. Additionally, I haul with the singlehander when speycasting which can't be done with the double hander. Therefore I cast further with an overhead cast than with a speycast when using a single handed 5 weight. Fair play, only got O Grade Physics to annoy the teacher so I shall leave it there.